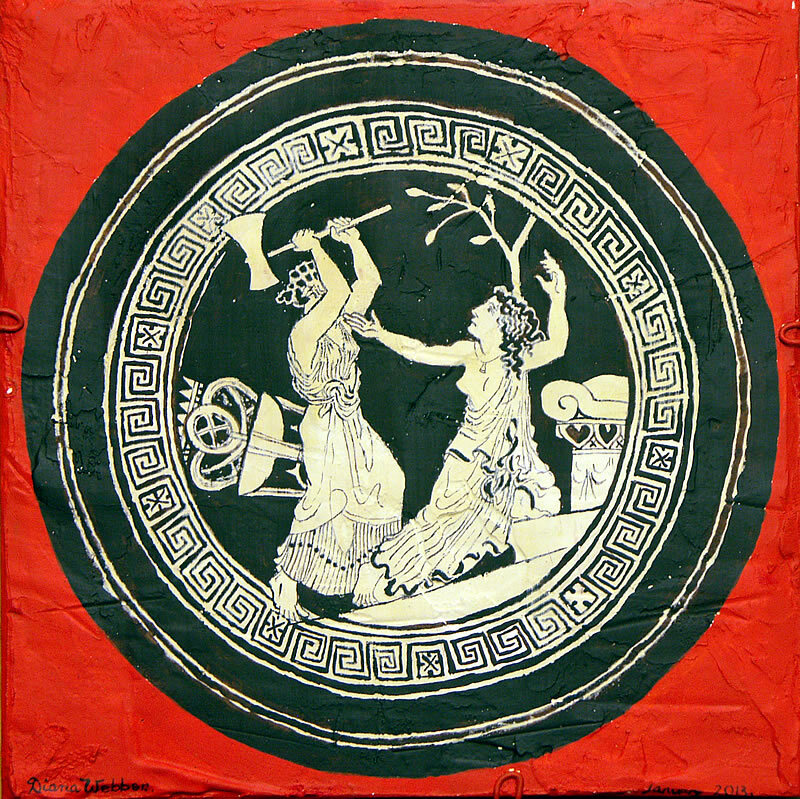 The assassination of Klytaimnestra, drawn on a drinking vessel, now in the Ferrara Museum. From Atlas of the Greek World, page 109. Copy by Diana Webber, 2013.